SAN FRANCISCO -- Intel Data-Centric Innovation Day -- 5G and network functions virtualization (NFV) took center stage as Intel launched new networking, compute, memory and storage components. Intel introduced hardware "spanning intelligent edge to cloud … to move, store, process data" for applications including AI, Internet of Things and security, the company said Tuesday. Network and edge "cloudification" are major drivers for the new products, as well as cloud, AI and analytics, said Navin Shenoy, Intel executive vice president and general manager for the Data Center Group. "The same concepts and technologies that created the cloud are now transforming the network. And as 5G emerges, we will only see that cloudification accelerate," Shenoy said. 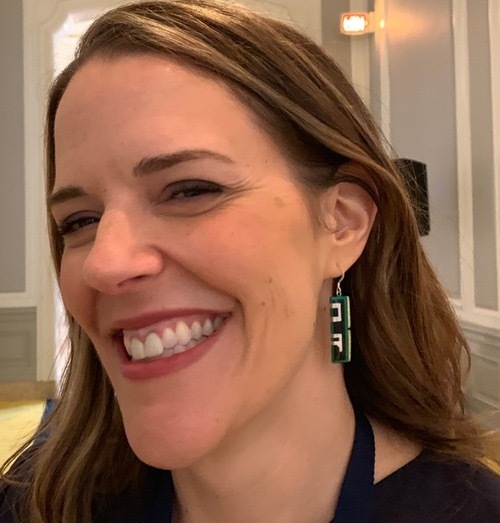 Intel's Lisa Spelman sports Optane earrings, reproductions of the Intel memory product, made by a local crafter in Portland, Ore. The vendor launched its second-generation Xeon D–1600 scalable processors with Deep Learning Boost to improve deep learning performance. Intel claims it's the only CPU with integrated AI acceleration. The new processors include configurations optimized for networking and NFV, with 1.76x performance improvement for NFV over previous processors, as well as enhanced quality of service. In addition to the Xeon processors, Intel introduced: an Ethernet 800 Series Adapter for networking; Optane DC Persistent Memory; and two other processors -- second-generation Intel Scalable and Agilex FPGAs. High-speed memory is a requirement for network performance, because the CPU needs to get data fast enough to operate, Shenoy said. To that end, Intel introduced Optane D Persistent Memory, with up to 36 TB in an eight-socket system. Matt Singer, a senior staff hardware engineer at Twitter, took to the stage (in physical form) to talk about how the company uses Intel memory and storage to improve performance. Twitter processes more than a trillion events daily as users tweet and interact with other's tweets. That activity is processed by Hadoop, with 100 petabytes of logical data in a cluster, using hard drives for storage. Hard drives are affordable, Singer explained. 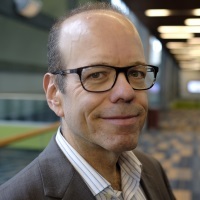 However, reliance on hard drives creates bottlenecks; hard drive capacity increases over time but Input/Output Operations Per Second (IOPS) are flat, Singer says. Twitter uses the Hadoop Distributed File System (HDFS) to store data, and YARN, a large-scale distributed operating system for big data applications, to manage data temporarily. HDFS and YARN sometimes collide because they're running in real time. Twitter's solution is to temporarily cache YARN to fast solid state drives, to improve performance. Twitter is able to reduce the number of racks in a cluster, which reduces the size of the data center footprint, consolidating 12 smaller hard drives to one big hard drive in a system without reducing performance, and moving from four-core to 24-core Xeon processors, Singer said. Twitter claims a 75% reduction in energy usage, and 30% overall reduced total cost of ownership, due to these architecture changes, Singer said. And Twitter can make better use of processors because memory bottlenecks are removed.